King Salman rejects President Trump's decision to recognize Israel's sovereignty on the Golan Heights. 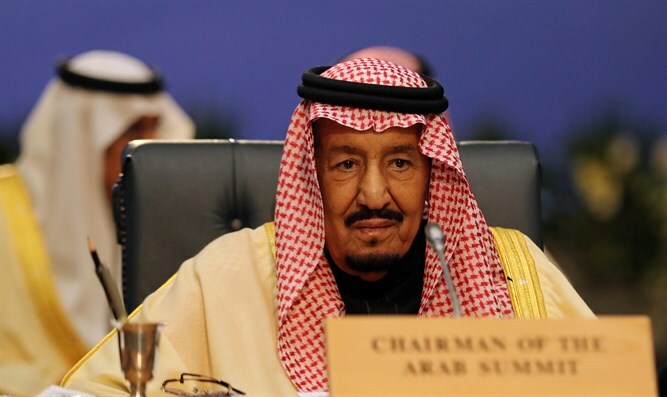 King Salman of Saudi Arabia said that he "absolutely rejects" the US recognition of Israeli sovereignty on the Golan Heights and any measures that impact Syria's sovereignty. Addressing an Arab League summit in Tunis Sunday, King Salman also reiterated his support for the establishment of a Palestinian Arab state in Judea and Samaria with eastern Jerusalem as its capital.